Are you getting paid for all the procedures, visits and extras that you performed in the study you conducted in your site? Are you collecting invoice-able items? Most sites leave money on the table – let us audit your trials to ensure nothing is left unpaid. We review the clinical trial agreement, the budget, payments and charts to find all procedure that can be invoiced. We work for clinical research sites and invoice sponsors on your behalf. We run a billing service for clinical research – we work with your Clinical Trial Management System (CTMS) to manage visit payments, extra procedures, billing and payment reconciliation. We review protocols, clinical trial agreements, and budgets to invoice all extras and then reconcile payments. An optimized and up-to-date CTMS is the best way for a site to track all the financial detail in a clinical trial and also supports operations. Implementation is time-consuming and is best performed by an experienced staff. If you do not have a CTMS or are running it sub-optimally, let us help you! 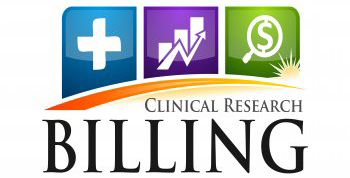 We are here to help you with your clinical research billing! Our goal is to support sites with financial/business expertise and CTMS operations. We have real site experience and we know the challenges. Sites need to get paid for all the work they do in order to operate efficiently. We do not take up space in your site or require; we understand protocols, CTAs/budgets, and have experience interacting with sponsors and CROs. For advice on Medicare billing and coverage analysis, we can make recommendations on experts for you to contact. Please see our Resources page. How many of those extra procedures are you doing free? Have those unscheduled visits been invoiced? Do you know how much you have in receivables? We get paid when the site gets paid. We charge a percentage of gross receipts, so our interests are completely aligned. We therefore strive for higher budgets, search out all the extras and ensure all invoices are paid. There are no upfront or fixed costs. Our success depends on your success! Yes, research is paper-based, but your financials need not be. Using the system, we will run your billing for you. Because we get paid a percentage of what you get paid, and not until you get paid, our objectives are the same. We find money the site has not invoiced, boosting cash flow to the site. The site benefits from a functional operating system. We will provide reports detailing invoices submitted for payment as well as work completed that has not been paid. This gives the site an expectation of pending receipts. The visits reports will allow conversion to accrual accounting and the generation of financial statements. Presenting accrual accounting is important when requesting bank financing or determining a valuation for investors. Using a CTMS will result in a patient database. You can build a database of patients that will be available for recruitment, ease your feasibility studies, and enhance the value of your site.